With over 15 years of corporate graphic design experience, we decided to build a graphic design company for businesses that like clean corporate designs. We understand the hectic and last minute world of our financial clients and rise to the challenge of getting their projects done accurately and on time. Our travel and tourism clients love our social media strategies and partnering with our travel site Dream Travel Magazine. Whatever the size and needs of your business we would love to talk and see how we can help you with your graphic, web or social media projects. Transitioning from my corporate life as a senior level graphic designer working in the graphic design studios of Canadian corporations and financial companies to a freelance graphic designer was not an easy task. With the help of my coaches at OSEB I was able to build a business plan that featured all my passions and expertise. Here is what my marketing coach Gary Lyon had to say. I was highly satisfied with Sharon’s work: she paid particular attention to our business goals and marketing strategy and proposed the solution that was tailored to these. She kept her fees transparent and stayed with the budget as agreed on. But most importantly, her design work captured perfectly the essence of our brand, providing us with additional tools to continuously build the brand awareness. Her add-on skills in building social media strategy and business development came in very handy. Sharon’s web and graphic design expertise rescued my webpage from cyberspace obscurity by creating a clean and accessible web presence that I can control from my own desktop. Now I have a site that I am proud to share with my patients because it clearly represents both me and my clinic to world wide browsers. Sharon has always responded quickly to emails when I have queries and has been an invaluable resource when I have questions as to how to best present the content I compose. She has taught me how to blog and how to accomodate my web design to the mobile phone world. Sharon is A++ in my books! Thanks Sharon! When I began working on my project with Sharon I had a somewhat clear idea of what I wanted, but Sharon took my idea and executed it in a way that surpassed my expectations. She is creative, flexible, talented, and very professional. I would not hesitate to recommend her to anyone in need of quality graphic design services. Through a range of projects, I have had the opportunity to work with Sharon on corporate branding, web design and production, as well as desktop publishing. Sharon is not only very knowledgeable about the technical aspects of graphic design; she also has an amazing ability to help her clients understand the technology and its strategic implications. In all my projects with her, Sharon has delivered cost-effective solutions that have allowed me reach my business objectives of establishing a unique corporate identity, increasing market exposure, and improving my clients’ customer experience. 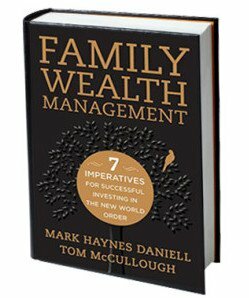 Sharon Mendelaoui illustrated the financial charts and graphics inside the book FAMILY WEALTH MANAGEMENT by Mark Haynes Daniell and Tom McCullough. Taking the excel spreadsheets and graphic concepts from the authours, she used her Illustrator skills to redraw and create vector art as per the publishers specifications. Join our happy customers and click for help!